If you enjoy the openness of a tent but would rather sleep above ground with the convenience of a bathroom this expandable has you covered. 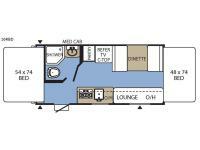 The two tent end beds do not take up any floor space which allows you to move around with ease. Just imagine cooking your camp meals inside, and storing dry goods in the pantry. 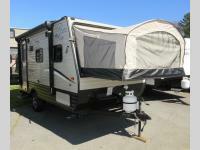 You will find overhead storage, and exterior compartments for all your camping items. 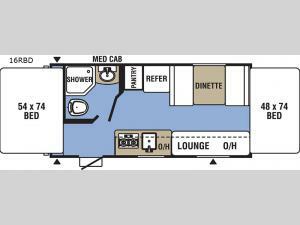 The rear full bathroom allows you to skip the campground's facilities. It's time to upgrade your camping accommodations today!